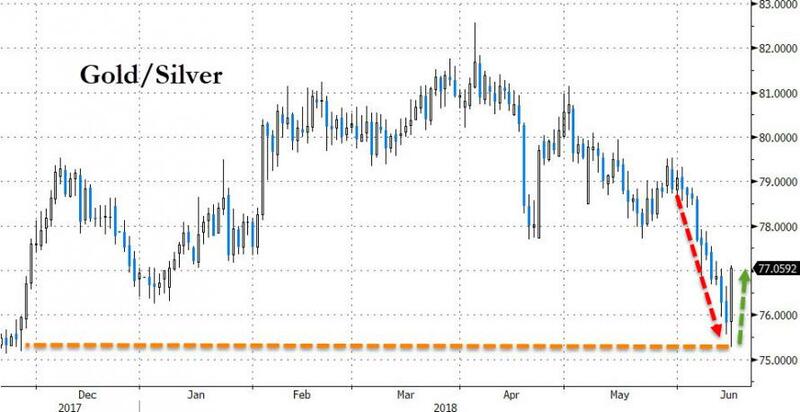 Gold prices are down almost 2% this morning - the biggest drop since Nov 2016, breaking below the key $1300 level, down to 6-month lows. 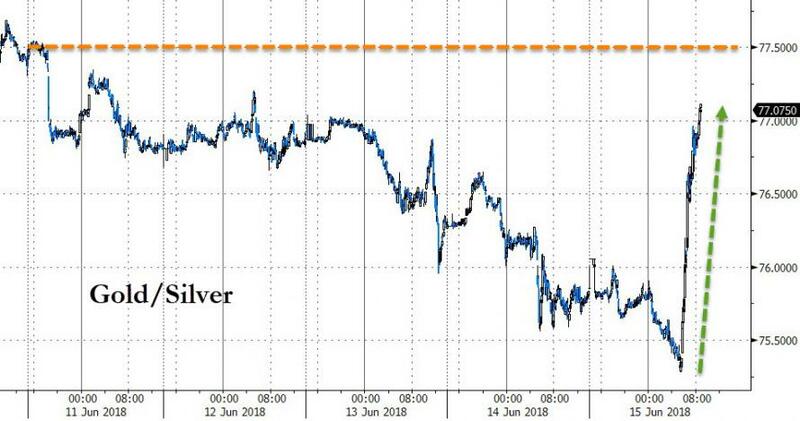 Silver is even worse - crashing 4%, back below $17 after a huge week of outperformance. For context - the last 4 hours have seen around 260,000 contracts dumped through Gold futures or around $34 billion notional! 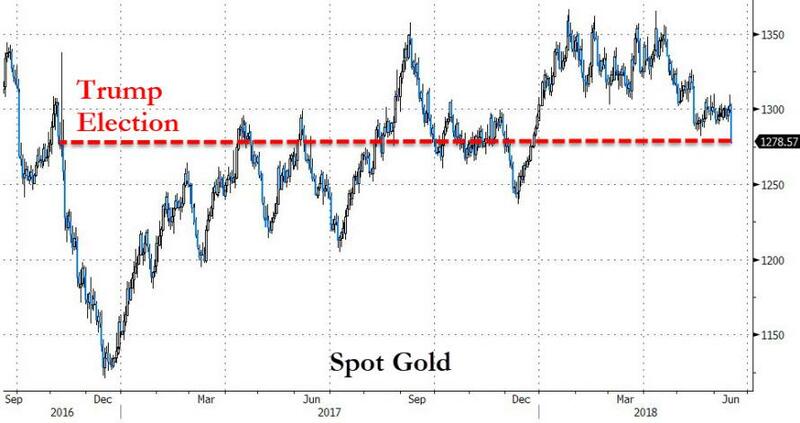 What is most interesting is the last few days have seen Yuan and Gold trading very much in sync, but as yesterday's trade-war headlines started to strike, Yuan tumbled - but gold held in there... until just now! 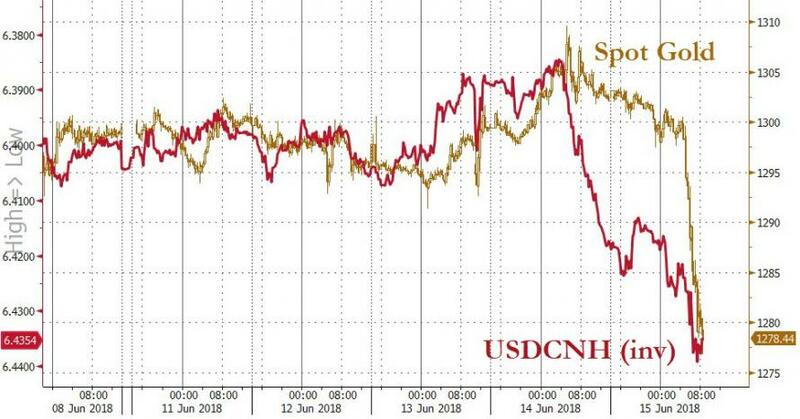 It would appear someone is implicitly betting on a huge dollar spike - which is what would likely happen in a full-blown trade-war.